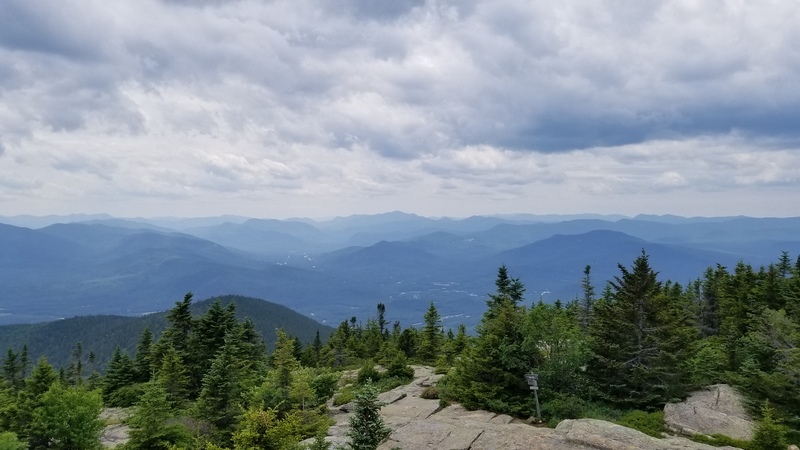 GREAT views from the summit and a few nice lookouts on the way via the Mt. Kearsarge North Trail. Early Spring hike (3/28) was soft at the bottom and thin snow cover, dry powder half way up. Fire tower at the summit supplements the view (a full 360) and is shelter if a strong wind that day. Moderate to easy hike, only 6.2 miles round trip. Use this relief map to navigate to mountain peaks in the area of Mount Kearsarge (Carroll County, New Hampshire).